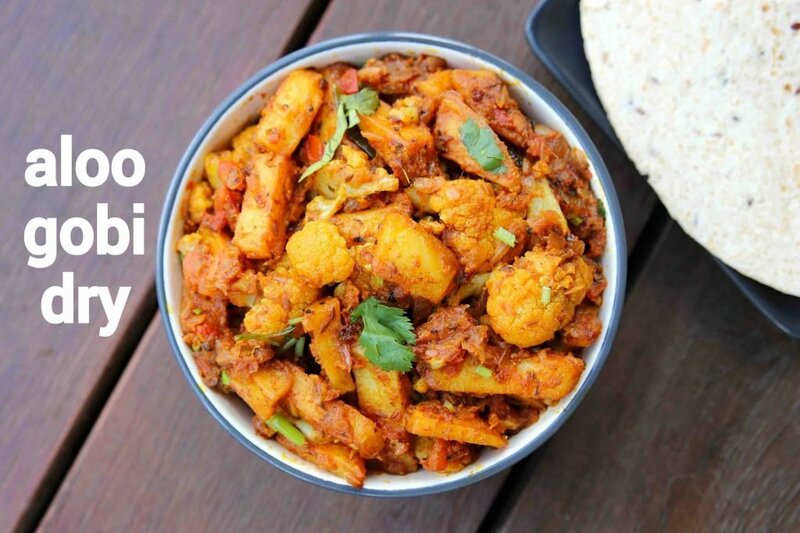 aloo gobi dry recipe | aloo gobhi ki sabji | aloo gobi masala dry with detailed photo and video recipe. 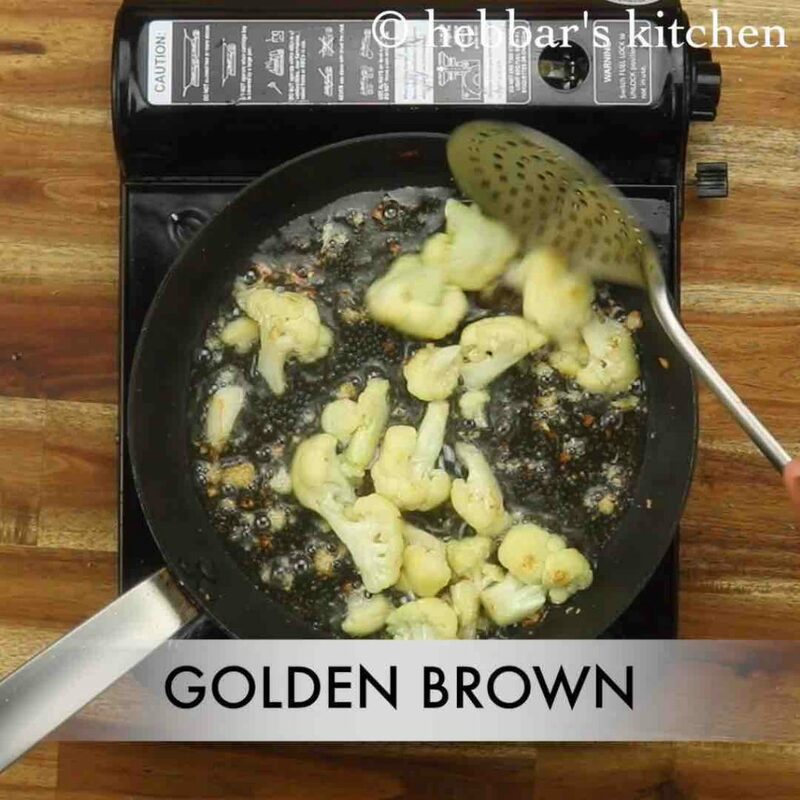 a simple, quick and easy dry curry recipe made with a combination of potatoes and cauliflower. 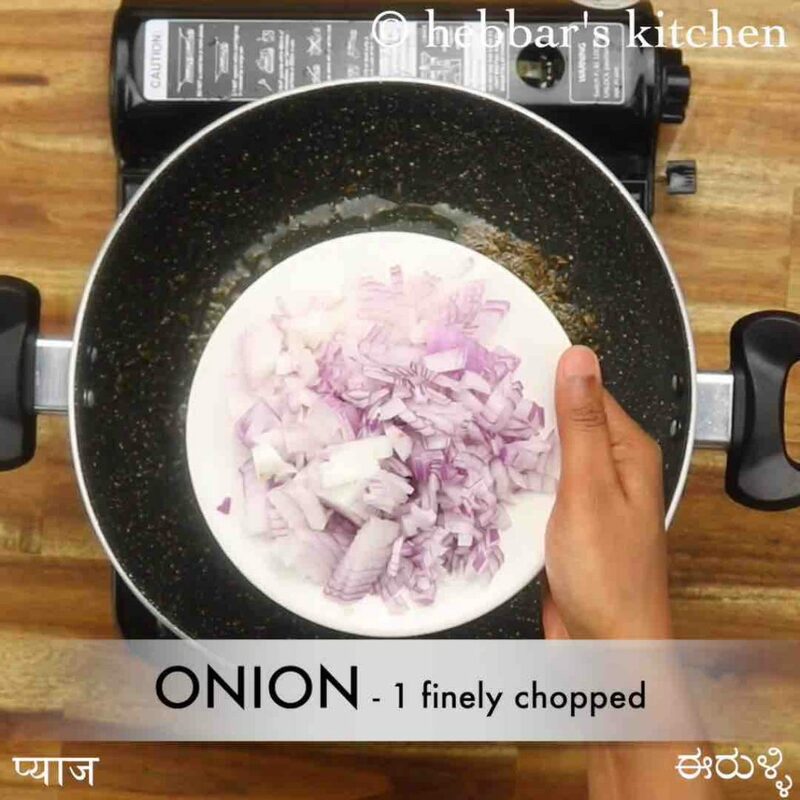 this is one of the most common day to day side dish recipe served with roti, chapati and even naan bread. there are many variants to this recipe where it can be made with thick gravy, but this recipe is a dry version of it. 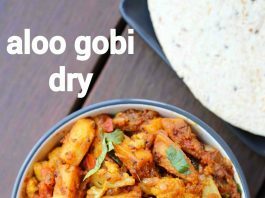 aloo gobi dry recipe | aloo gobhi ki sabji | aloo gobi masala dry with step by step photo and video recipe. 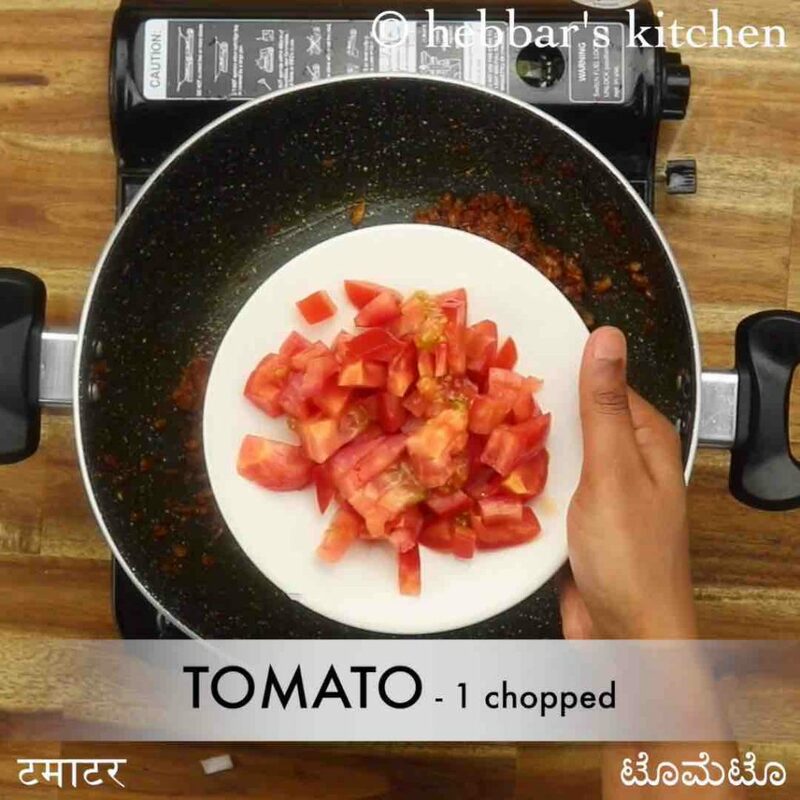 sabji recipes are pretty common in many indian households and are made with myriad basic veggies. one of the common vegetable found in every indian household is potatoes and cauliflower. 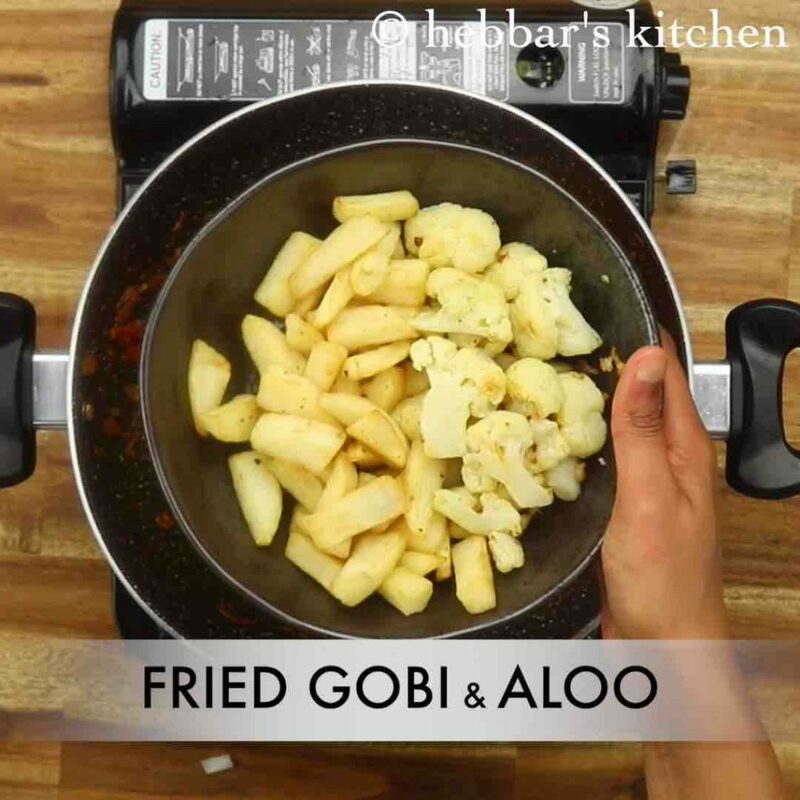 this recipe is one such common recipe made by combining aloo and gobhi, served as side dish to flat breads or steamed rice. as i mentioned i have shared the gravy version of this recipe where i have used thick onion and tomato based sauce as its base. it can be ideal recipe but perhaps time-consuming if you are looking for something quick and easy. 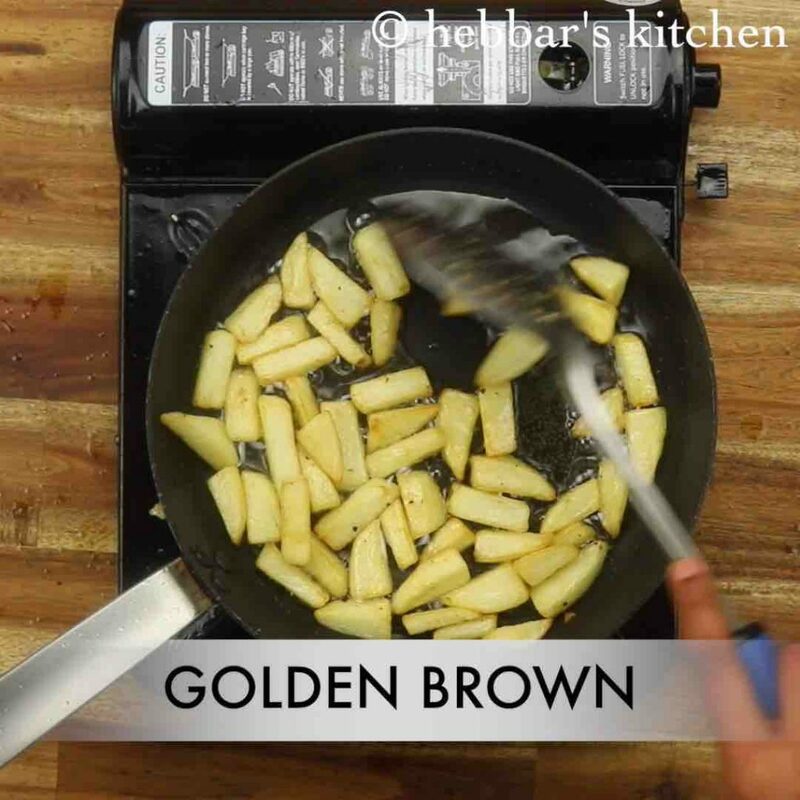 hence the dry variant of aloo gobhi ki sabji is an ideal option. the best part of this recipe is it can be served as a side dish for both rice based and bread based recipes. i personally make this whenever i feel to have something lite or not in a mood to cook something fancy. i love this recipe when served as side dish to dal and jeera rice combo. in addition, i even extend this recipe by adding other easily available veggies like green peas, beans and carrots. 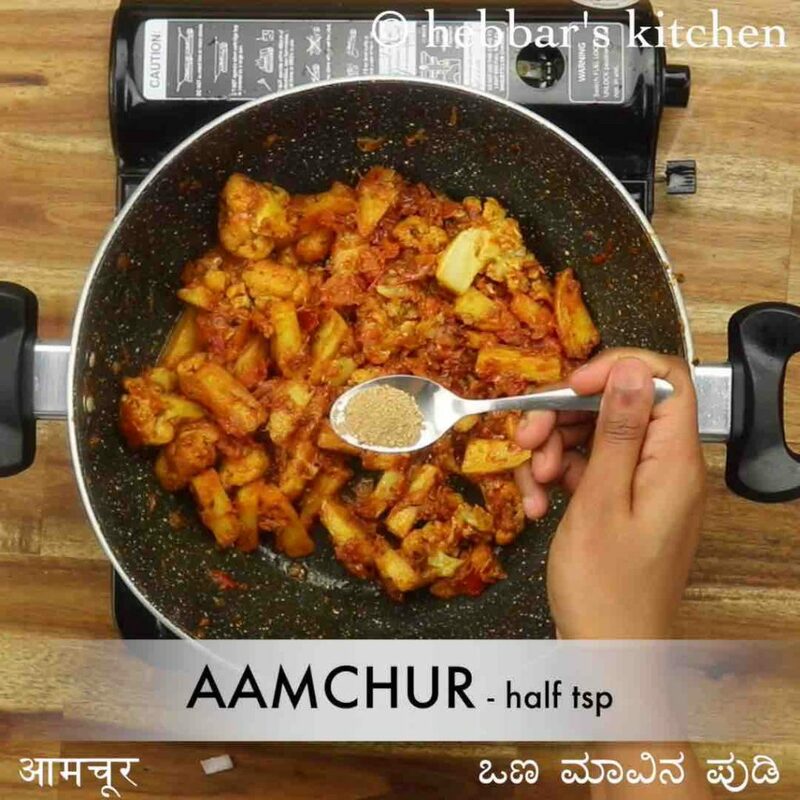 the recipe for aloo gobi dry recipe is unique, simple and easy to make, yet some variations, tips and suggestions. firstly, if you are planning to make a dry variant, i would suggest chopping potatoes and cauliflowers in a fairly bigger size. do not chop then fine, as it may dissolve to smooth paste. 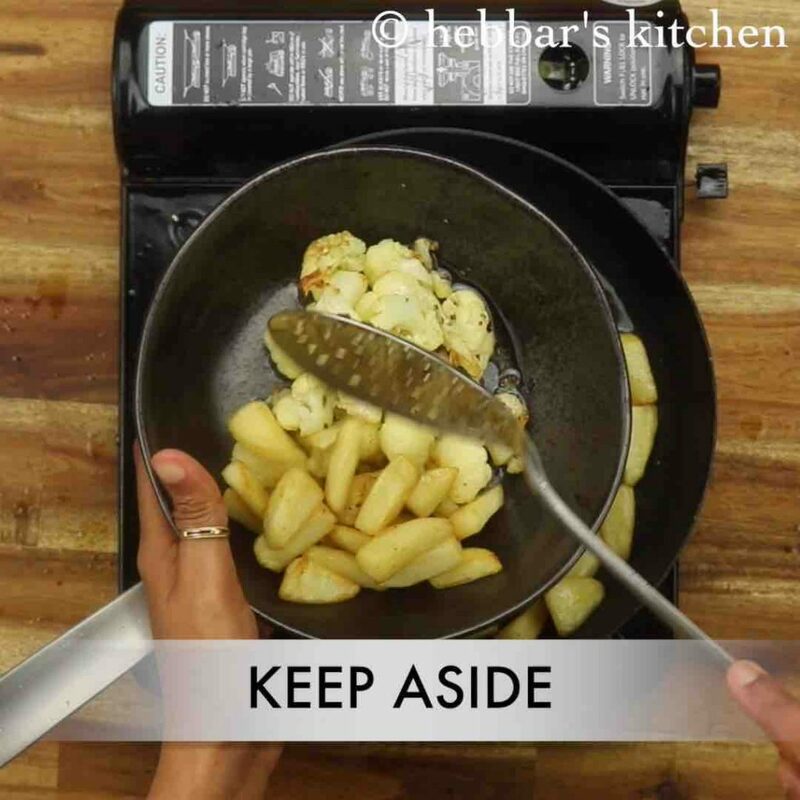 secondly, instead of frying, you can pressure cook the potatoes separately and then using it in the recipe. i personally like the potatoes and cauliflower fried in oil. lastly, if you have left-over aloo gobhi ki sabji you can use it to make paratha or even sandwich recipes. 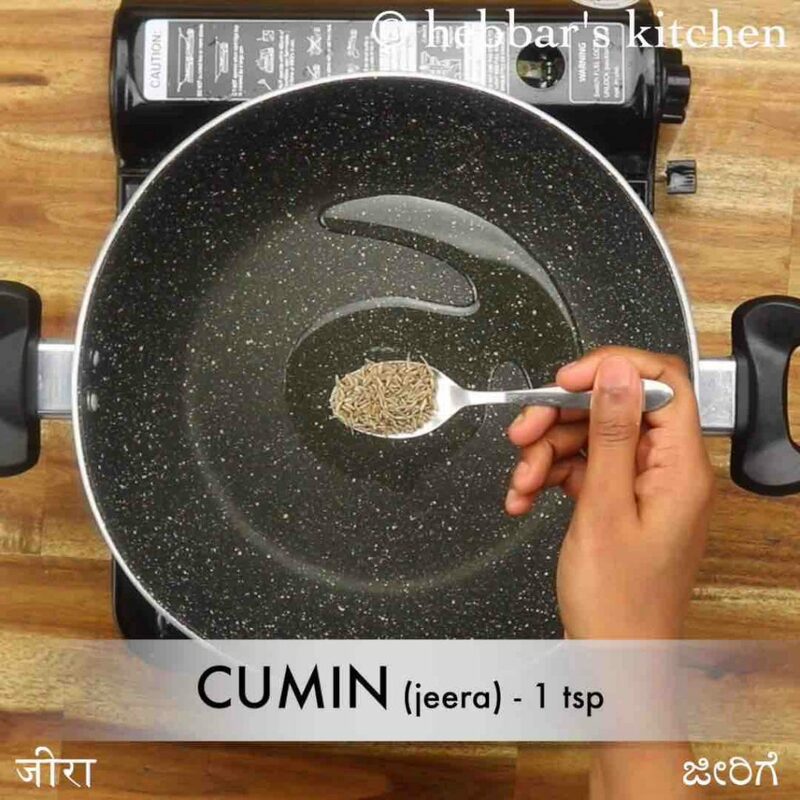 firstly, in a large kadai, heat 3 tsp oil and saute 1 tsp cumin and 1 tsp kasuri methi until they turn aromatic. further, add 1 onion and saute well. now add 1 tsp ginger garlic paste, 1 chilli and saute for a minute. 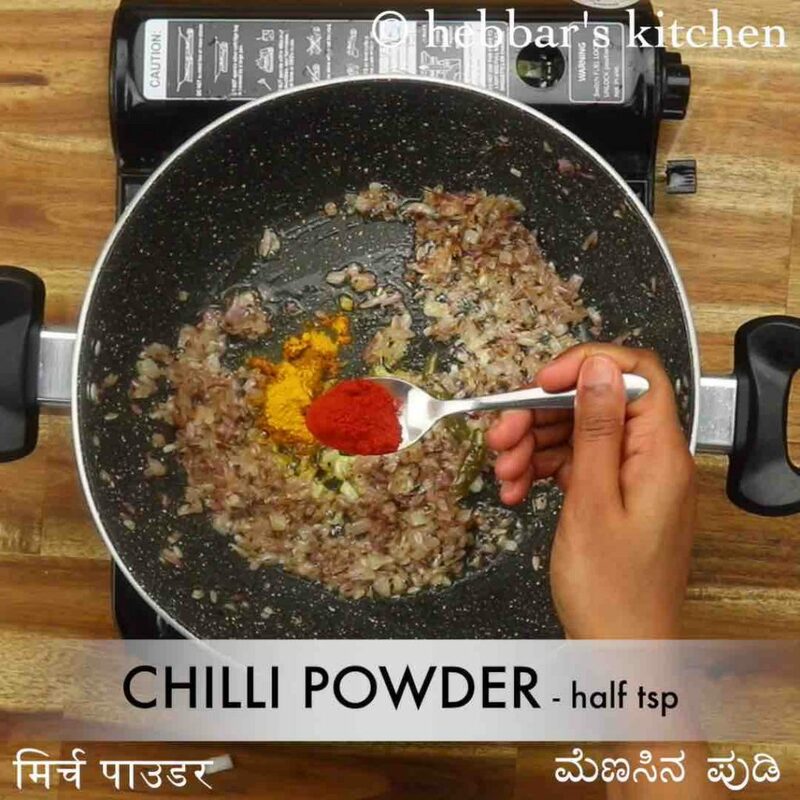 keeping the flame on low add ¼ tsp turmeric, ½ tsp chilli powder, ½ tsp coriander powder, ¼ tsp cumin powder and ¾ tsp salt. saute on low flame, until the spices turn aromatic. further, add 1 tomato and saute until tomatoes turn soft and mushy. now add fried aloo and gobi. 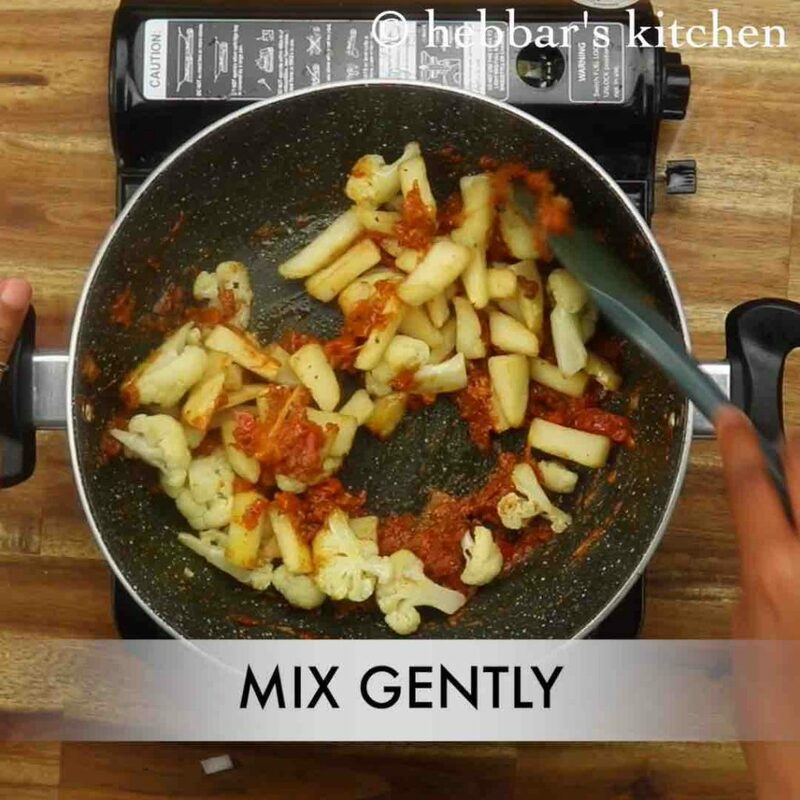 mix gently without breaking them. if you prefer gravy, then add ½ cup water. 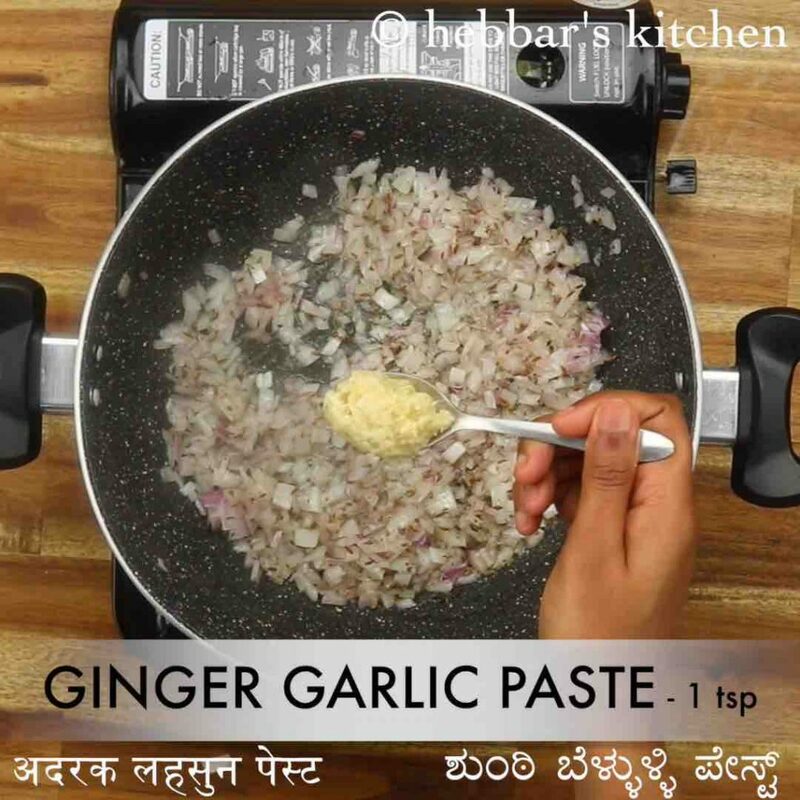 furthermore, add ½ tsp aamchur, ¼ tsp garam masala and 2 tbsp coriander leaves. mix well. 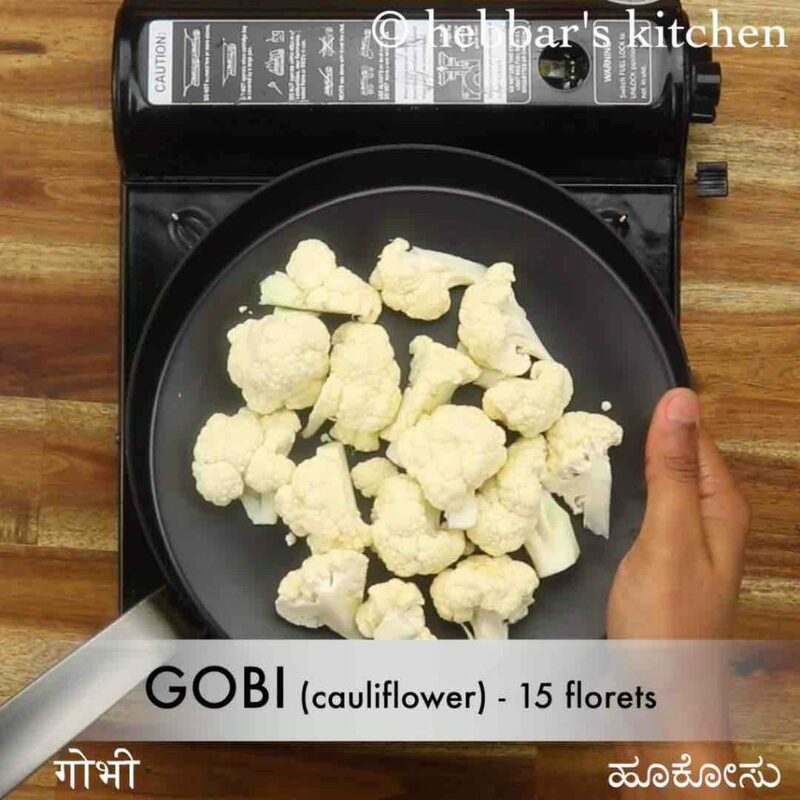 finally, aloo gobi dry recipe is ready to serve with roti or rice. firstly, in a pan heat 4 tbsp oil and add 15 florets gobi. fry on medium flame, until they turn golden brown. drain off the gobi and keep aside. in the same oil add 2 potato and fry on medium flame. fry until potatoes turn golden and crip. 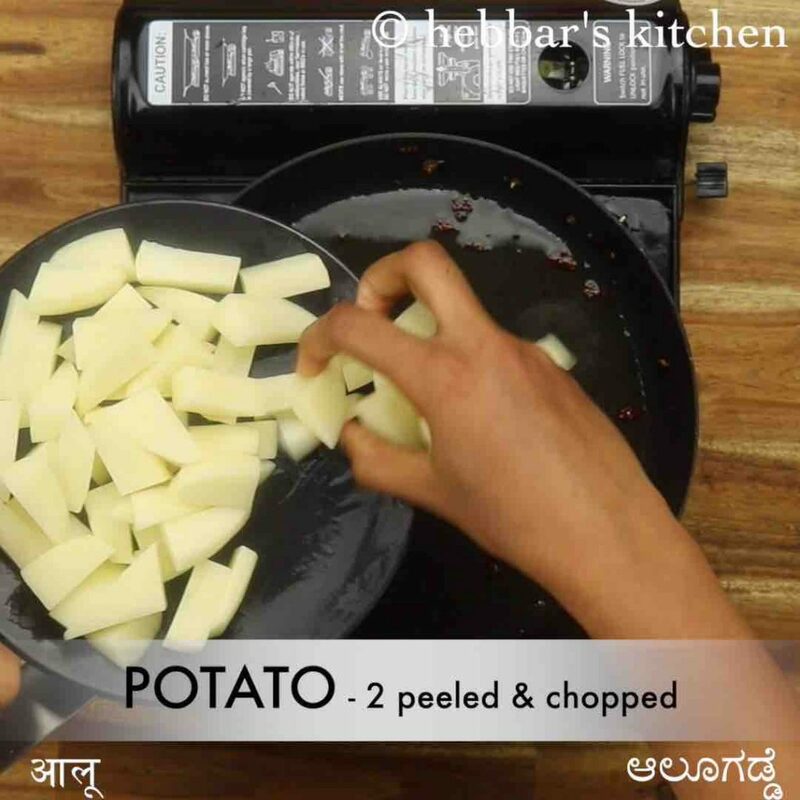 drain off the aloo and keep aside. 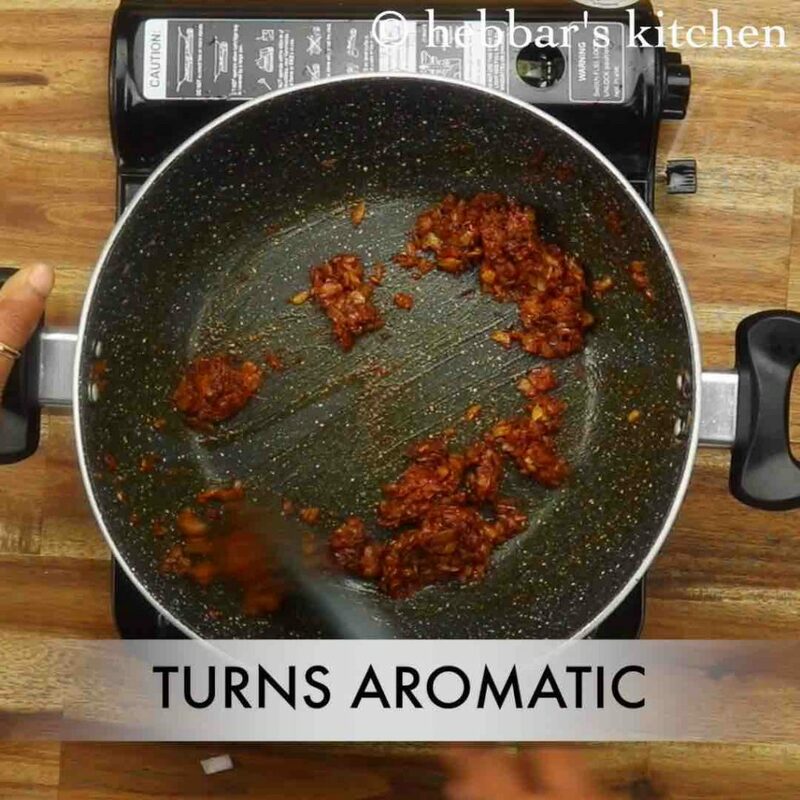 in a large kadai, heat 3 tsp oil and saute 1 tsp cumin and 1 tsp kasuri methi until they turn aromatic. 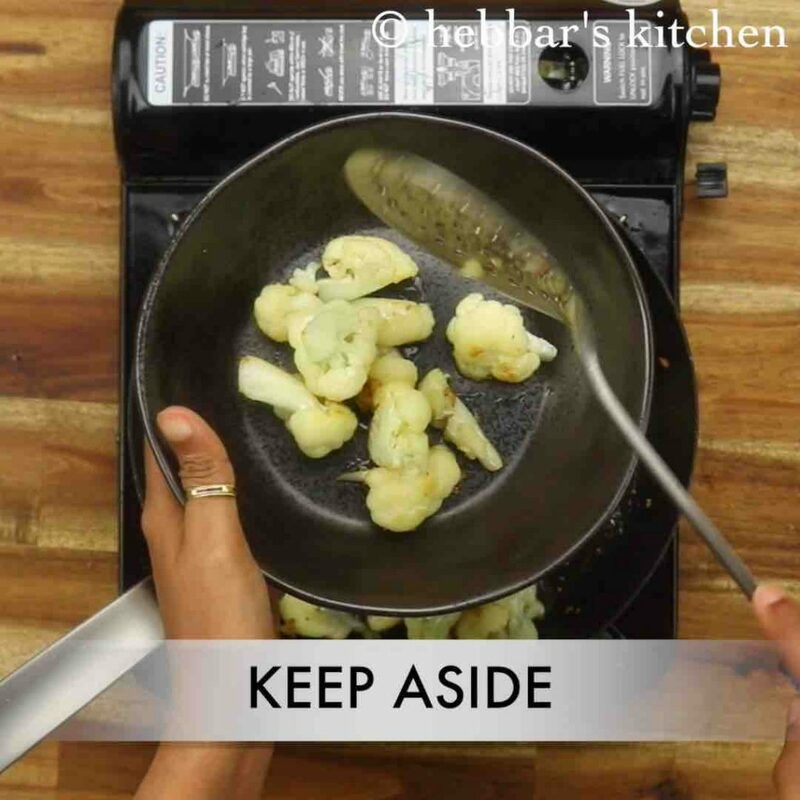 firstly, deep fry the vegetables for more crispy bites. also, you can boil them to cook if you are calorie conscious. additionally, add boiled peas along with fried aloo gobi for variation. 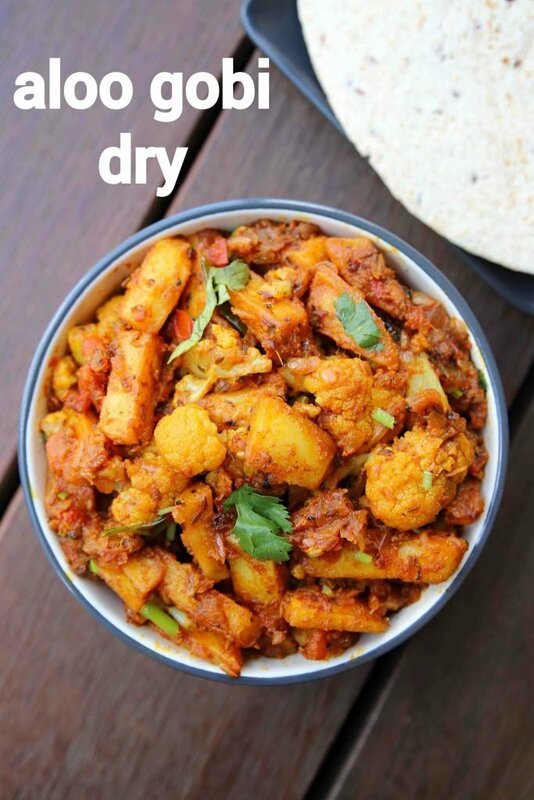 finally, aloo gobi dry recipe tastes great when served spicy.